"Midnight in Paris" will be the opening film of the 2011 Cannes Film Festival. A romantic comedy directed by Woody Allen, the movie features former super-model Carla Bruni-Sarkozy, wife of the French president, in her first movie role. When asked about her motivations, Bruni explained: "I'd like to, when I'm a grandmother, to have done a Woody Allen film." The movie also stars Owen Wilson, Rachel McAdams, French Oscar-winner Marion Cotillard, Kathy Bates, Adrien Brody, and Gad Elmaleh. 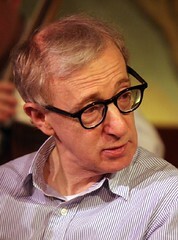 This is the second time in the last ten years that the Cannes Film Festival will open with a Woody Allen movie ("Hollywood Ending" opened the 2002 Cannes Film Festival).While somewhat out of favor in his home country, the US director has become a Cannes Film Festival program regular. Many of his recent films have premiered at the Cannes Film Festival in recent years, including some of the stronger ones such as "Match Point" and "Vicky, Cristina, Barcelona". After London and Barcelona, this year's Allen movie is set in Paris. "Midnight in Paris is a wonderful love letter to Paris", declared Festival director Thierry Frémaux.